Custom embroidered polo shirts are a terrific way to “dress up” the look of your business or organization. The incorporation of your logo, seal, or name with vibrant, embroidered colors makes a big impression. At O’Connor Embroidery, we can work with you to design the perfect polo, including color schemes, designs and sizing. We offer a full range of colors and thread types. If you can’t find the perfect color, let us order it! Need to purchase polo shirts? We can handle that too. Our network of distributors and suppliers means you can easily find and order the right polos for your business and budget. From the performance fabrics to classic cotton blends, a polo from O’Connor is always the right one for the job. Top brands like Nike, Adidas, and Izod are available. You are also welcome to bring in your own polos to have embroidered. Browse our catalog of men’s and women’s polo shirts here. 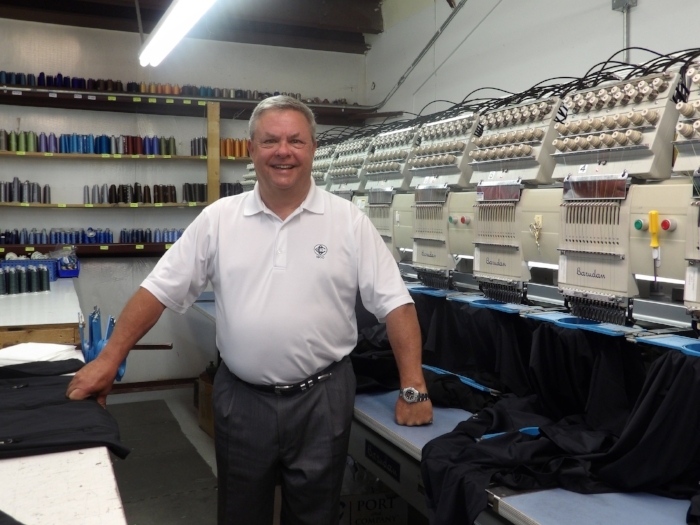 O’Connor Embroidery has remained the premier choice for embroidery in Charleston, SC for over 18 years. We offer the very best in threads, machines, and customer service for an altogether exceptional experience. We have the knowledge and expertise to help you design the perfect embroidered pols, hats, bags or nearly anything else you can think of. With our state-of-the-art digital embroidery technology, you can enjoy your embroidered products for years to come. Our staff is eager to provide design assistance, embroidery advice, and general guidance for orders big and small. Whether you are ordering uniforms for your small business or for another organization, we are ready to help. For the very best in custom embroidery, contact O’Connor Embroidery today. We look forward to making your design dreams a reality. Give us a call at 843-762-7600 or contact us online to get started.